Hoc quale caput est, sed cerebrum non habet. A fox, entering the store-room of a theatrical producer, found an actor’s mask, skilfully shaped, so finely fashioned that the spirit alone was missing, in all else it seemed alive. 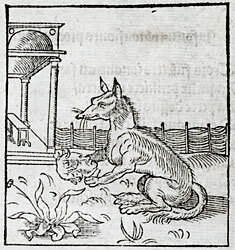 Taking it up, the fox addressed it - What a head is this, but it has no brain! Le Sens plus requis que Beaulte. Laquelle il eust tantost levee. Car elle na poinct de cerveau. 2. 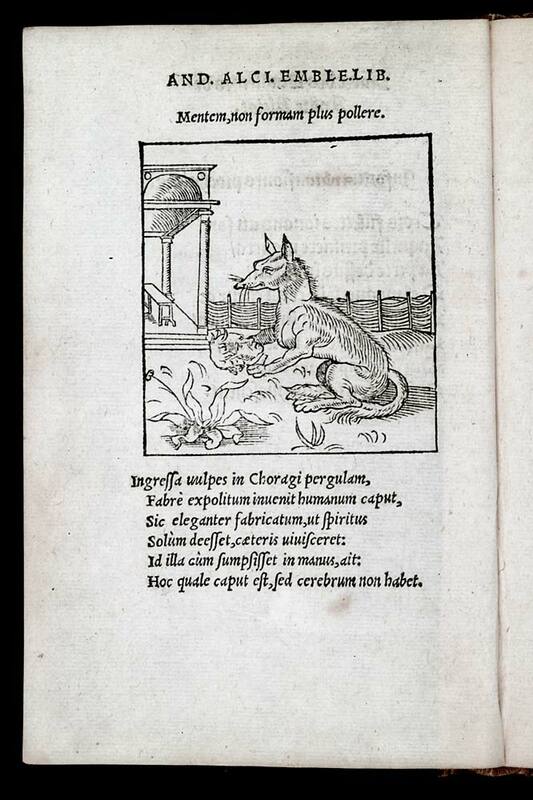 See Phaedrus, Fables 1.7 (also in iambic senarii); Aesop, Fables 43.